Anishnawbe Ayaadiziwin services are delivered by a team of Child and Youth Mental Health and Addictions Workers, and have a strong foundation in culture and tradition. We want children and youth to live well, gain knowledge and skills for mental wellness, and increase their ability to overcome challenges. These services support clients to explore their natural gifts and purpose in life, and build their identity as First Nations, Inuit, and Métis. In addition to the services outlined below, we can provide mental health assessments, advocacy, or referrals. The Child and Youth Workers provide educational presentations upon request, and offer arts-based activities that are a fun, hands-on way to explore mental health and wellness, cultural awareness and self identity. These are held at SOAHAC and different places in nearby communities. We also provide cultural teachings in schools, and programs to address things like self-esteem building, mental health issues, addiction, and life skills. One-to-one peer mentorship is available when referrals are triaged through a mental health provider within SOAHAC. This involves an intake and goal setting to address the child/youth’s specific needs. This service is offered in partnership with the Child and Parent Resource Institute (CPRI). It is a process that takes place over a series of appointments between a child/youth and their family, and a ‘circle’ of health providers that includes a traditional healer, psychiatrist, social worker and others. This circle gathers information from the child/youth and their family to provide an assessment and individualized wholistic wellness plan. 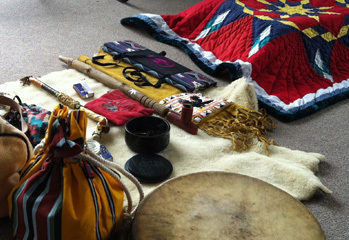 These are different everyone, but recommendations may include education strategies, referrals to specific services such as nutrition or counselling, prescriptions for medications or herbal remedies/medicines, and/or referrals to attend a particular cultural ceremony or workshop.The Wholistic Knowledge Sharing Circle honours both Indigenous and western knowledge, practices and views. One-to-one counseling is available to children and youth who may be unable or not wish to participate in the Wholistic Knowledge Sharing Circle, or who may need someone to talk to. If a child or youth is experiencing a more complex mental health challenge, we will connect them to appropriate services within SOAHAC or to an external Specialist or Child Psychiatrist through the Tele-Mental Health service.